This article looks at how one could coach Lean teams on Scrum. Sometimes I get the great opportunity to Coach teams that are not software development teams. Such as a Lean team working within the Business, tasked with finding Waste . One such occasion where my organization had a cultural Agile transformation going on, I was able to do just that. When I first started talking to the Lean team, I pointed out to them that historically Scrum and Agile borrow heavily from Lean. As a result they asked me to come in and present Scrum to them. So, how does one coach a Lean team on Scrum? Well I went back to the basics, presenting all the activities, events, principles, values, and more of Scrum. But this was merely consulting via a presentation. It is not coaching. One of the techniques that a Coach uses is to ask questions so, that the client team finds their own answers by themselves. People are more likely to accept these findings if they discover them on their own. Rather than ones that are force-fed to them. As they have made these discoveries through their own experiences. This is one of the many differences of Coaching compared to Consultation. To enable the Lean team in this, after the presentation I facilitated a “game” with them. Whereby I provided them with a familiar Lean diagram of PDCA . I then asked them as part of the game to place the Scrum activities, events, artifacts and anything else they thought relevant from Scrum on the picture to see where they thought it matched. By observing the teams conversations, I could see the debates going back and forth. I made no effort to interfere. I let them get on with it, whereby the team made its own discoveries. As long as the team were not too far off, for me it didn't really matter what they came up with. The point was to get them to learn, understand and converse as a team on Scrum. How it maybe useful for them and learn this all by themselves. Becoming a self-organizing team. 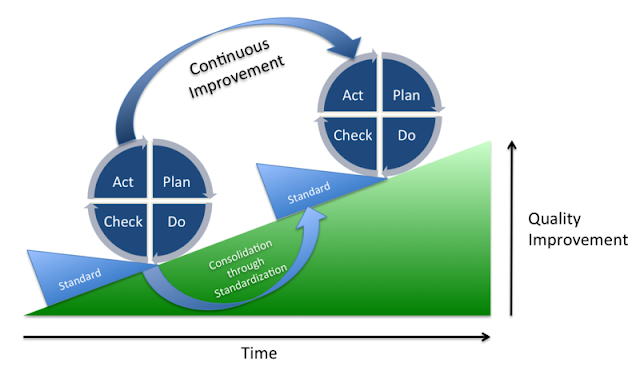 I presented Scrum to the team, then coached them using a Lean approach they were familiar with (PDCA), asking them to map Scrum to it. The game enabled them to think and learn about Scrum. 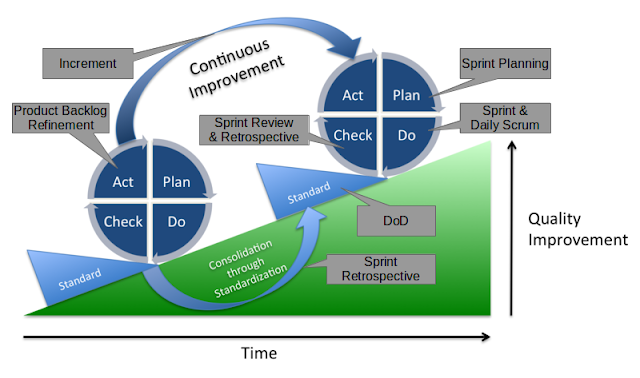 A successful outcome was obtained as the team went away with the idea of implementing Scrum. For me my personal learning was the power of Coaching over Consulting.